The Overwatch League’s manager posted an update about the team’s system. Something isn’t working for the Shanghai Dragons. The Chinese Overwatch League team still hasn’t won a single game in the league. They’ve lost a staggering 32 games in a row since the league’s start. No one’s happy about this, obviously—not the fans, not the players, not the management. Shanghai manager Yang Van posted a letter on TwitLonger addressed to the Overwatch League team’s fans as a way to explain the losses. Yang reported that the Shanghai players practice from 10:30am to 10:30pm—12 hour practice days—six days a week during the Overwatch League’s regular season. Sure, players likely have breaks during that time, but teams are at the training facilities for 12 hours a day (or more), well over the normal eight-hour work day. It’s the most intensive training schedule in the Overwatch League, Yang said. During stage breaks, players have three to four days off, he added. Yang’s TwitLonger letter is a response to fans questioning why the Overwatch League players were playing games other than Overwatch recently. But a more salient question is, why don’t they have more breaks? Practicing too much is “just as bad as practicing too little,” according to acclaimed Russian violinist Jascha Heifetz. Practice needs to be smarter, not harder. Deliberate, thoughtful practice is what aids skill, not just slogging away at the game for hours on end. It’s clear that Shanghai’s players are individually skilled, but something needs to change with the way they practice together. And that’s on the management. Shanghai’s been through a lot of coaching adjustments. Controversial coach Chen “U4” Congshan stepped down in March, then Wang “RUI” Xingrui left in May. 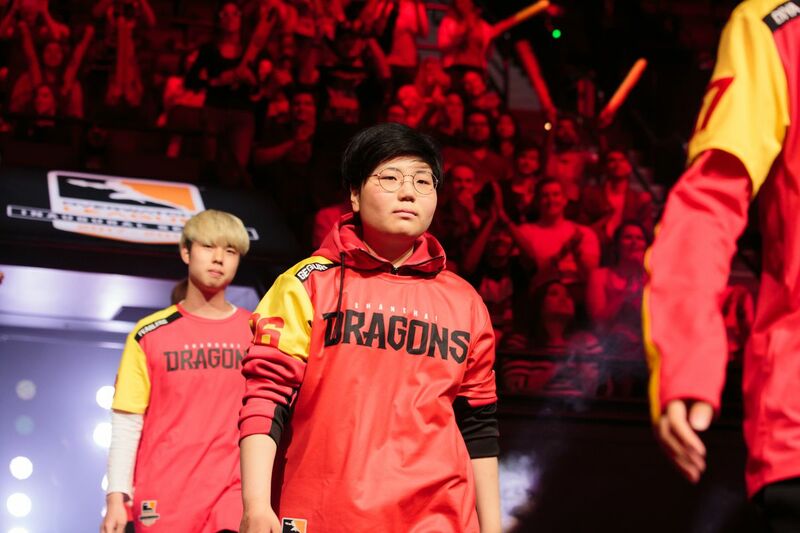 The team’s seen improvements since four new players—Kim “Geguri” Se-Yeon, He “Sky” Junjian, Lee “Fearless” Eui-Seok, and Chon “Ado” Gi-Hyeon—joined the roster, but not enough to snag a win. Shanghai management reportedly finished an investigation of the team’s issues and apparently has some problems to work out. They’ll be “handled inside the team,” but Shanghai will update fans once it’s done. It’s unclear, really, what that means.